The back of the Mario Kart 7 box encourages shoppers to "take racing to new heights with the all-new glider." That's cool. The back of the box for Namco Bandai's Active Life: Magical Carnival urges gamers to "ride magic carpets, flying brooms & learn magical tricks!" That sounds great! 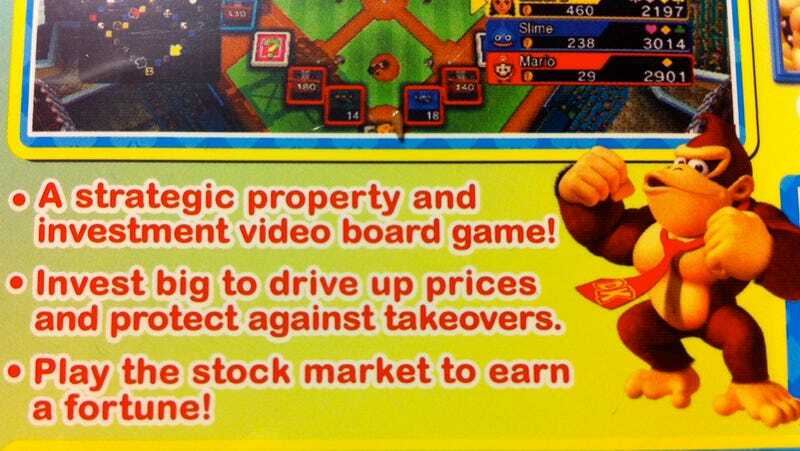 And then there's the back of the box for Nintendo's final Wii game of 2011, Fortune Street. See above. It doesn't scream "fun", does it? It kind of screams for someone to occupy Fortune Street. Let's hope that we can't judge a game correctly by its back cover and that Fortune Street, a Nintendo and Dragon Quest-themed virtual board game, has more joy in it than it first appears. We'll play it here and let you know by the end of the week.